Here in northwest Connecticut the weather has been cooperating enough that with a sweater on I’ve been able to spend time on the deck with my toys. 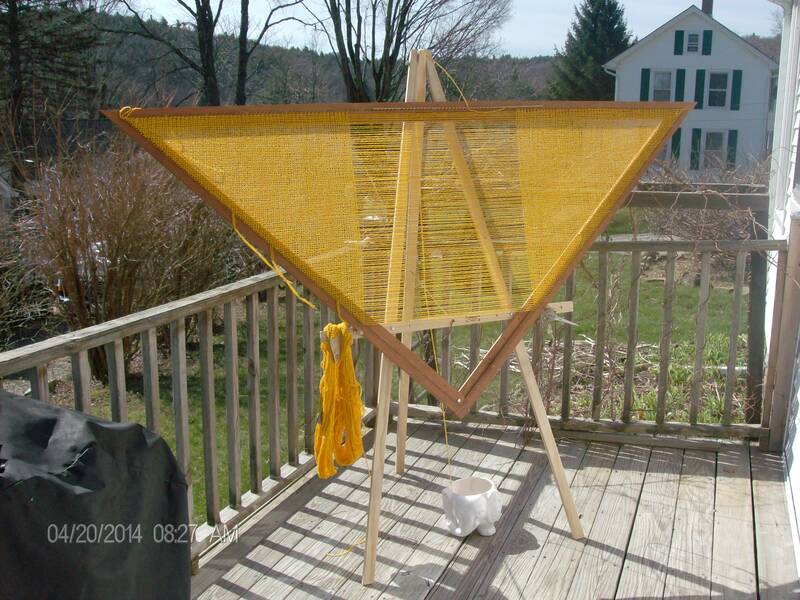 On a sunny Sunday morning I carried my 7′ triangle loom out and set it up in the sheltered corner of the deck. It was a great idea, but the wind was still made it too much of a challenge to weave so it traveled back inside in short order. 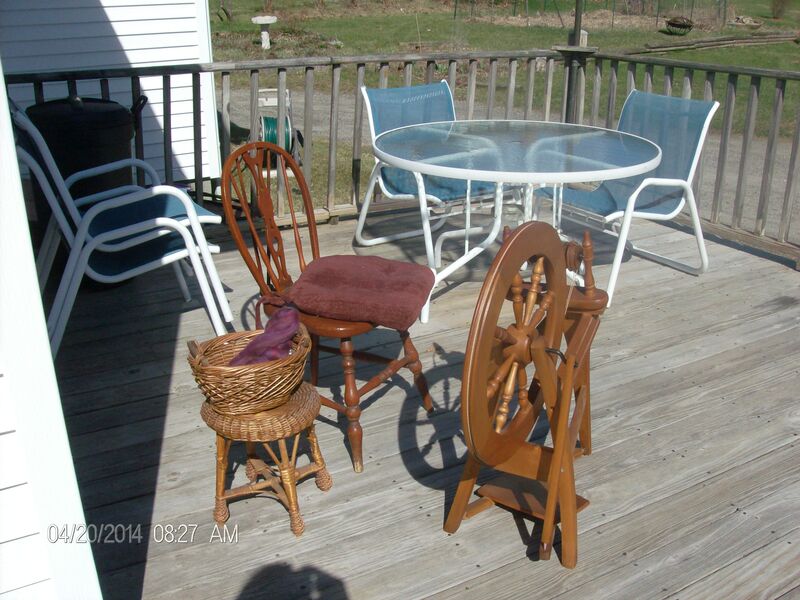 I then moved around the corner into the sun with my spinning wheel and roving from Paradise Fibers. I admit that I did do a bit of hopping around out there, chasing the sun, but overall it was a great afternoon and I finished up that yarn. 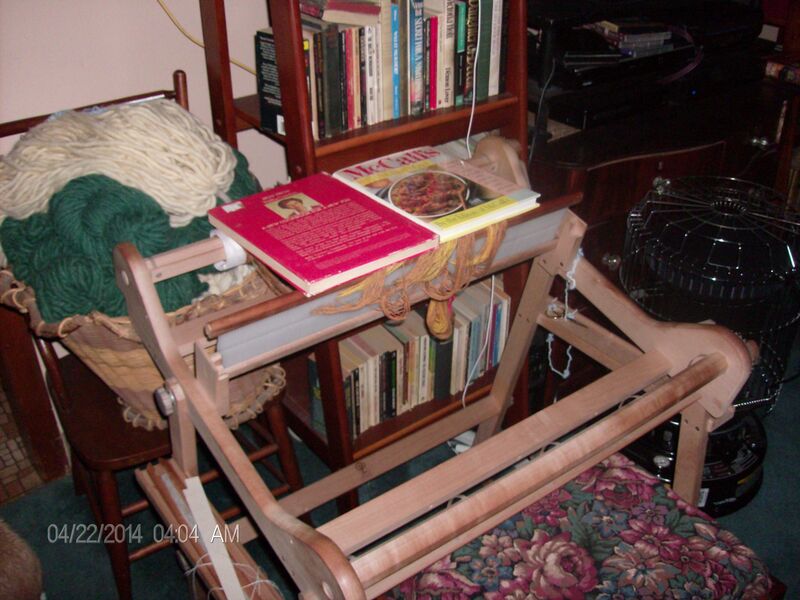 I then got to start on the roving I bought from Barbara Parry at the NY Wool and Sheep Festival last fall. It’s very, very nice. On Monday afternoon, after work, I opted to bring my 24″ RH loom outside to finish up a scarf I’d started the previous week. It was a much nicer day and I really enjoyed myself in the breeze even with all of the pollen. My allergies have been going lightly on my this year so I’m optimistic about more outdoor fiber time. I had to kitty proof the warp for the next scarf…she thinks it’s her personal hammock. Do you get to spend much time outside with your choice of crafts?